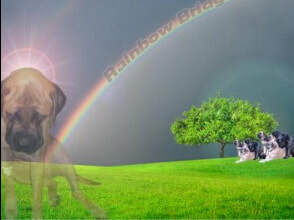 Mastiff Rescue of Florida dedicates our work to the memory of Sophie, a true angel that was lost to us far too soon. Please help us to do the work inspired by Sophie. Mastiff Rescue of Florida is an all volunteer organization. Our volunteers do their best to care for every Mastiff that needs our help. We often encounter dogs that have suffered from the trauma of a car accident, or that have been neglected and starved. The challenge and cost of rehabilitating these dogs, on top of the every day medical expenses such as fighting heartworm, ear, eye and skin infections, just to name a few! We ask for your help in caring for these gentle giants. Please consider making an immediate impact on the health and happiness of homeless Mastiffs by making a donation today. Help us honor the memory of Sophie and the other fantastic friends we have lost by making your donation today. Thank you! Who makes up the Mastiff Rescue of Florida? The rescue consists of over 220 volunteers spanning the entire state of Florida... they are a group of people with one sole thing in common, the love of the dog known as the English Mastiff! Someone needs a dog driven from Jacksonville to Clearwater? It will happen within a day or two even if 3 separate people drive different legs of the trip. Someone notices a malnourished pup somewhere? The Mastiff Rescure will spring into action and try to bring that dog back to the safety of some of our top notch veterinarians, then out to a foster home to wait for its forever family, often which might just be the foster family itself. The Mastiff Rescue has an extraordinarily high rate of foster failure family's but with such lovable and sweet dogs how could you not? ​The Mastiff Rescue could not do it alone with helping hand of some great veterinarians state wide and you... the donor. Without donations this Rescue would have a hard time feeding these big guys!